For hard soldering with flame. Stays put like a paste, will not run like a liquid and yet is transparent. Eliminates blind joint soldering. 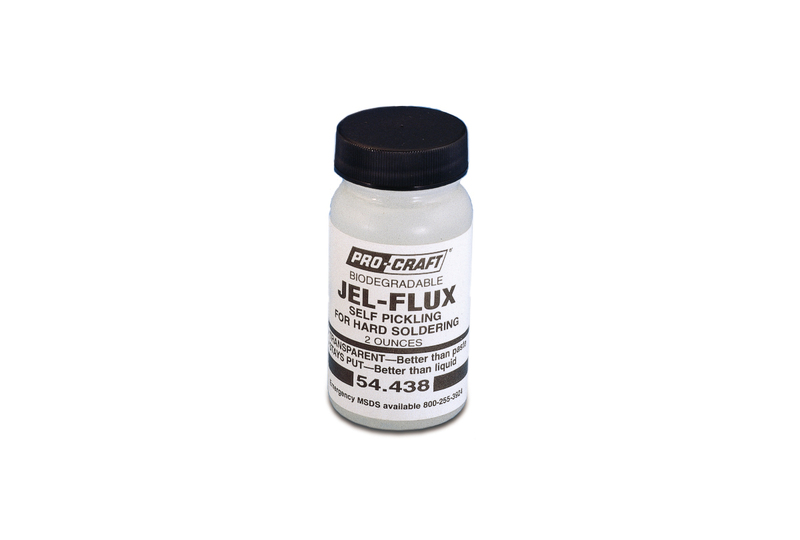 Jel-Flux produces less oxides and residues, allowing for faster pickling. With no toxic fumes and it's biodegradable.